In 2010, The Weinstein Company released "The King's Speech," which fictionalized the true story of George "Bertie" VI who became king when his brother abdicated the throne to marry Wallis Simpson. 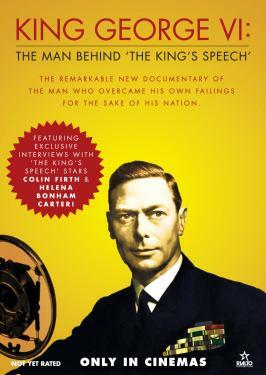 The documentary chronicles King George VI's evolution from a shy introvert with a debilitating speech impediment to a rousing leader who brought hope to his countrymen during the dark days of World War II. Original footage is combined with interviews from the actors and filmmakers who brought the Academy Award-winning feature film to life.